Automated planning is becoming increasingly popular for solving problems for robotic, artificially intelligent or internetworking processes. Autonomous agents are active entities that perceive their environment, reason, plan and execute appropriate actions to achieve their goals, in service of their users. The subject will show how this work is relevant for many applications beyond the traditional area of artificial intelligence, such as resource scheduling, logistics, process management, service composition, intelligent sensing and robotics. 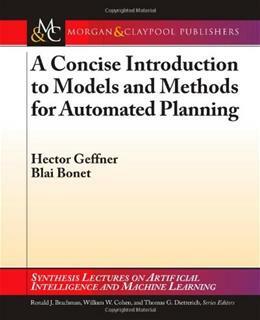 The subject covers the foundations of automated planning and reasoning techniques that enable agents to reason about actions and knowledge during collaborative task execution. The subject focuses on the fast emerging Golog-family of Situation Calculus-based agent programming languages. A more detailed subject outline is available here. The subject does not have any single prescribed text. In general, required readings will be provided ahead of lectures and workshops and are indicated on the Schedule below. Most of the readings are from the following four books, which have been placed on 7 day reserve in the ERC library. 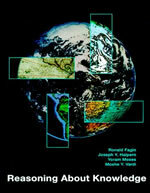 Ronald J. Brachman and Hector J. Levesque, Knowledge Representation and Reasoning, Elsevier/Morgan Kaufmann, 2004. Fagin, R., Halpern, J.Y., Moses, Y., and Vardi, M.Y. Reasoning about Knowledge. MIT Press, Cambridge, MA, 1995. Reiter, R., Knowledge in Action: Logical Foundations for Specifying and Implementing Dynamical Systems, MIT Press, 2001. Book home page. The MINdiGolog interpreter we use can be found by downloading the zip here on the Department machines under project resources; it uses SWI Prolog (stable version) which is already installed in the computer labs. You can use these tools/resources at www.planning.domains (such as editor.planning.domains). If you use IndiGolog, you can download it at sourceforge. Workshop 2 solutions will be made available on the main LMS page link (on the left) "Classical planning lectures & workshop solutions"
Workshop 2 solutions are available on the main LMS page link (on the left) "Classical planning lectures & workshop solutions"
Knowledge in Action: Resources (including code from book) at www.cs.toronto.edu/cogrobo/kia/. Leon Sterling and Ehud Shapiro, The Art of Prolog, 3rd Edition, The MIT Press 1994. Russell, S.J. and Norvig, P., Artificial Intelligence: A Modern Approach, 3rd Edition Prentice Hall, 2003.